Sprawling green terrains embellishing the lustrous blue waters of the Arabian Sea is home to the city of Thiruvananthapuram, a magnificent getaway to countless attractions in the southern fringes of the Indian Subcontinent adorning the landscaped sceneries of Kerala. The most stunning of these retreats located in close proximity to Thiruvananthapuram include the gorgeous hill stations in Kerala, which can be reached from the city in a few hours’ drive. One of these spectacular spots, situated within a driving distance of about 7 hours from Thiruvananthapuram, is Nelliampathy – a peaceful haven for all nature lovers surrounded with expansive plantations of coffee and tea. Nelliampathy is located at a distance of only around 350 kilometres from Thiruvananthapuram, its nearest town being Palakkad, earlier known to be Palghat due to its proximity to the Palghat Gap. The monsoons and the winter months are the best time to visit Nelliampathy though the weather remains considerably pleasant all round the year. Although not yet charted as a very popular hill station in Kerala positioned near Thiruvananthapuram and other leading tourist destinations in the region, the quaint village of Nelliampathy still holds its pure natural charms nestled amidst the green expanses of the undulating hills. The pictorial setting of the Nelliampathy hills is home to various interesting sites, which offer exclusive views of the surroundings. Some of the best of these are the Kesavam Para View Point and Seetharkund, a site that is known to have mythological association. Seetharkund offers mesmerizing views of the gently sloping valleys and also happens to be the site of a gorgeous waterfall surging down from a height of 100 metres. Kesavam Para reminds the visitors of the landscaped setting of Munnar as they approach towards this viewing point. Trekking to reach atop the expansive rocky surface at Kesavam Para is very unusual experience in itself. The crystal clear water of the waterhole present in vicinity augments the beauty of the entire setting. The Suicide Point gives away appealing views of the valleys at the base of the hill from the misty hilltop. Wildlife here can be explored to a considerable extent due to the presence of some forms of locally dwelling animals in this part. Picnicking or trekking, nature tours or visits to the coffee and tea plantations – various engaging activities make these viewing points in Nelliampathy a great destination for short weekend trips. As the sightseers approach towards Nelliampathy they come across various fascinating viewing points that open to the expansive greeneries of the Palakkad District. The panoramic views of the scenic Pothundy Dam, which comes on their way to Nelliampathy, are interesting and breathtaking. The cool breeze blowing softly adds charm to the entire pictorial setting. The site is great for short outings, which includes the thrilling options for boating too. Exploring the bio farms here is also a remarkable means to get familiar with the place. One day visits to the orange orchards as well as to the tea and coffee plantations are worth experiencing for every visitor in the region. Kaikathy is a place in proximity, which serves as a base for the trekking enthusiasts. The Palagapandi Estate, located atop one of the hills in Nelliampathy, is a beautiful old bungalow that has been renovated to a luxury resort. Built in the British times, this resort offers outstanding accommodation facilities to the guests apart from providing them with some of the best views of the pristine natural setting. The Poabs Estate located here is home to a rich variety of flora and fauna, which are unique and interesting to behold. Green Land Farm Houses at Palagapandy, ITL Holidays & Resort at Kaitty, The Whistling Thrush Bungalow at Poothundu Estate, Ciscilia Heritage at Ranimedu Estate, Spring Valley at Pulayanpara, Misty Valley Resorts and the Orange Valley Resort are some of the best resorts in Nelliampathy for accommodation, food, fun, thrill and enjoyment. Every turn along the route to Nelliampathy from Thiruvanathapuram brings something new, pleasant and surprising to the holidaymakers as they draw nearer to this exotic and luxuriant retreat of Nelliampathy. Travellers from Thiruvananthapuram can even opt for exploring various other beautiful sites on their trip to Nelliampathy. These sites include the towns of Manjeri and Nenamara and several other picturesque locations. 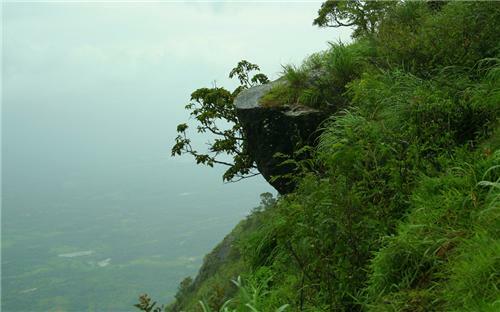 These locations offer great options for sightseeing to the tourists travelling to Nelliampathy from Thiruvananthapuram.